Hockey insider Elliotte Friedman tweeted today, "All signs point to Phil Housley being next head coach of the Buffalo Sabres. Question is how soon it will happen." The Sabres and new general manager Jason Botterill waited for the Stanley Cup finals to end to fill their coaching needs and it looked as if it was a two-horse race between Housley and Pittsburgh Penguins assistant coach Rick Tocchet. However, it was reported earlier today that Tocchet wasn't even interviewed for Buffalo's coaching vacancy. "I’m surprised to learn the Sabres did not contact Rick Tocchet about coaching vacancy," tweeted TSN's Darren Dreger. It was announced earlier this week that the Florida Panthers hired Bob Boughner as their new bench-boss which leaving Buffalo as the only NHL team without a head coach. Two other candidates were said to be in the running at various times during the coaching search. The more prominent of the two, Jacques Martin, didn't get interviewed while Washington associate coach Todd Reirden met with both Florida and Buffalo already about their head coaching vacancies. Apparently that gambling thing with Tocchet didn't sit well with where the Pegula's mindset is right now. 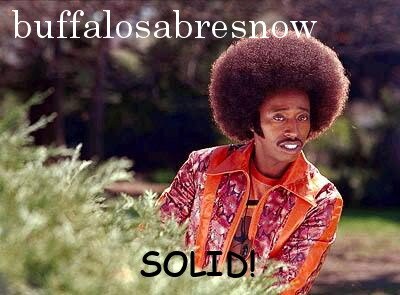 The Sabres travails have been long and burdensome. From the collapse of former GM Darcy Regier's "Core" and the subsequent teardown and tank, to front office turmoil with saw an NHL and Hall of Famer spar with others to the point where he left. To the departures of Pegula's inner circle, to the hiring of Murray and his hiring of Bylsma and the disappointment of last season the team needs competent stability. That's why they hired Botterill, who seems like a very even-keeled personality who has the wherewithal, work-ethic, smarts and experience to lead this team into the future. The hiring of Housley would mean another step towards the future using the present style of the NHL as a springboard. Housley was an assistant in Nashville and had the most potent d-corps in all of hockey. An active defense is where the league has been trending hard and there's no better person than Housley--who was compared to players like Bobby Orr and Paul Coffey for his skating, puck-movement and offensive acumen--to take the reigns of Botterill's vision. 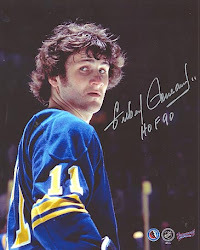 Although nothing is finalized, hearing that Housley could be the man in Buffalo is a shot in the arm for Sabreland.